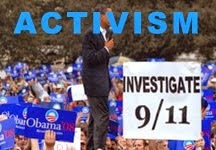 Thanks for walking us through that Conspiracies R Not Us. I just had a look at their reply to Scootle's reply yesterday and here is mine, and I'm not "in a fuss" I assure everyone. "Neighborhood Rationalist" at CRNU states that Scootle's "generally speculative characterization of the plane’s maneuvers was pathetic." Well, while I disagreed with most of what Jesse Ventura's program presented on the Pentagon last night, it did do a good job of debunking the counter-claim presented to Scootle that Hani Hanjour simply "tipped the nose twice." Our Neighbourhood Irrationalist continues, "And, as usual, I think it goes without saying that the claim that Hanjour is naught but a flight-school dropout who was 'incompetent in a single engine Cessna' is a lie by omission - he was, until he wasn’t." It is then pointed out that the 9/11 Commission stated, "Hanjour persevered; he completed the initial training by the end of March 2001." But as it turns out the only "lie of omission" here is from the Omission Commission. Beyond exposing the blatant lies of the 9/11 Commission that were obviously intended to exaggerate Hanjour's training, the article also refutes media outlets like New American and Salon who have tried "to 'debunk' the assertion that Hanjour wasn’t a capable enough pilot to have pulled it off." Hani Hanjour practices on a Boeing 737-200 simulator for a total of 21 hours at the JetTech International flight school in Phoenix, Arizona. Hanjour also attends ground school and pays just under $7,500 for the training. Despite only completing 21 of his originally scheduled 34 hours of simulator training, according to the FBI this is the best-trained of the four hijacker pilots (see Spring-Summer 2001). However, an instructor comments: “Student made numerous errors during performance… including a lack of understanding of some basic concepts… Some of the concepts involved in large jet systems cannot be fully comprehended by someone with only small prop plane experience.” [US District Court for the Eastern District of Virginia; Alexandria Division, 7/31/2006] The school contacts the FAA to warn it of Hanjour’s poor English and flying skills (see January-February 2001). The 9/11 Commission Report fails to discuss or even mention this negative written evaluation, even while presenting Hanjour’s substandard performance in a Boeing 737 simulator as sufficient evidence that Hanjour could fly a Boeing 757, an even larger plane! The wording of the final report succeeds in giving this impression, however dubious, even while obscuring the facts: an amazing achievement of propaganda. One 9/11 Commission footnote (to Chapter 7) is relatively positive. 170. FBI report, "Summary of Penttbom Investigation," Feb. 29, 2004, pp. 52¬57. Hanjour successfully conducted a challenging certification flight supervised by an instructor at Congressional Air Charters of Gaithersburg, Maryland, landing at a small airport with a difficult approach.The instructor thought Hanjour may have had training from a military pilot because he used a terrain recognition system for navigation. Eddie Shalev interview (Apr.9, 2004). And yes Freeway Airport's chief instructor Marcel Bernard did say that, "There's no doubt in my mind that once that [hijacked jet] got going, he could have pointed that plane at a building and hit it." But as the article on suppressed evidence points out, upon accompanying Hanjour on three test flights, instructors Sheri Baxter and Ben Conner at Freeway observed that Hanjour had trouble controlling and landing a single-engine Cessna 172 and based upon their assessments Bernard refused to rent him a plane. This isn't just a "a battle of the scare quotes" as stated by CNRU, because the perponderance of qualified opinions and other evidence is clearly on our side of the argument. But Neighbohood Rationolist states that even if the points about Hanjour being an incompetent pilot were conceded that it doesn't matter because "100% of the remaining evidence singles him out as a hijacking pilot." While this is true, it does not rule out a scenario in which the hijackers were hijacked by remote control. The paper "Plausibility Of 9/11 Aircraft Attacks Generated By GPS-Guided Aircraft Autopilot Systems" demonstrates that the maneuvers attributed to Hanjour are consistent with the use of such technology. 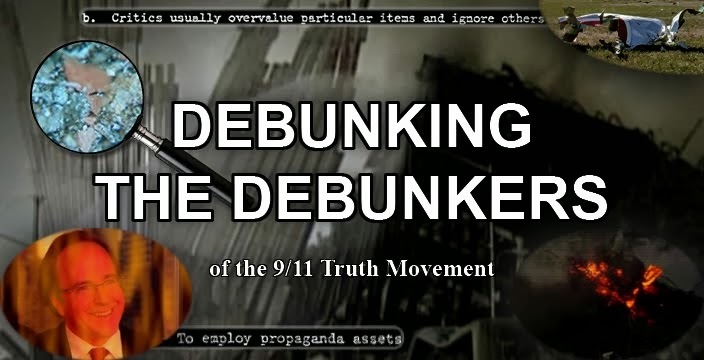 The bottom line is that we do not doubt terrorists were involved in 9/11. 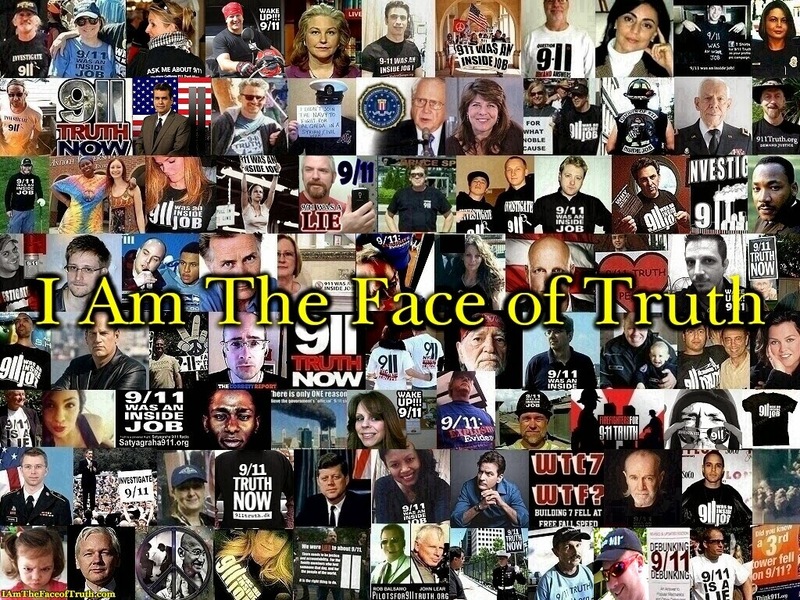 When the alleged 9/11 plotters offered to confess at Guantánamo in December of 2008 many probably asked themselves: "What does it mean for the 9/11 truth movement?” The answer is nothing; many people make the mistake of only seeing the issues concerning 9/11 in black and white, as opposed to shades of grey. Even if we accept that bin Laden and gang were the masterminds of 9/11 it does not negate a slew of evidence indicating that they were allowed to succeed and had their results amplified. 9/11 very well could have been an inside and an outside job. Addressing my blog entry "Super-Duper Thermite: A Year in Review,"
Just the use of nano-metals, which makes it nano-thermite, was reported by Las Alamos to "increase the (chemical) reaction time by a thousand times." But something else is added to make it truly explosive. The scientists report that the material found in the WTC dust is mixed in a sol-gel matrix with organic components and as an April 2000 report by Gash et. al. about the sol-gel process states, "Once dry the (hybrid inorganic/organic energetic composite) material burns very vigorously and rapidly with the evolution of significant amounts of gaseous species." I'll let Steven Jones walk you through it. We are also informed that thermite's use in incendiary devices "is the exact same as its use in fireworks – as a pyrotechnic initiator." I'm guessing our friendly neighbor missed this. 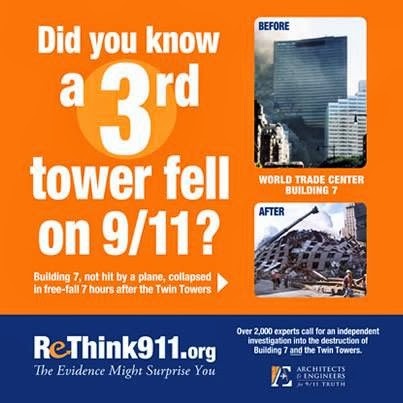 Back to the nano-thermite, we are told that "it is scientific dishonesty to reject the fact that these are the normal components of the collapse site of a skyscraper." As will be demonstrated here in a second, Steven Jones did his due diligence on this, but commen sense is all that is needed for this one, as Gordon Ross put it, "...If I leave margarine, flour, sugar and fruit in a cupboard, when I next open the cupboard I will not find a fruit crumble. Some mechanism is required to convert the ingredients. Similarly, if I take these same ingredients, set them alight and throw them out the window, I still will not get my fruit crumble." Next the chain of custody of the samples is questioned, they state, "People mailed him things, and he took them at their word." As Scootle has pointed out this is "effectively accusing the scientists and the citizens of conspiring to fake evidence by manufacturing high-tech energetic nanocomposites." I guess Neighborhood Rationalist is a Conspiracies R Us kid afterall! Steven Jones addreses both of these points in detail in the following videos. In this next video chemical engineer Mark Basile reveals that he has unequivocally confirmed the peer-reviewed work of Jones and his colleagues and obtained a completely independent sample of dust from a NYC museum, which leads me to related point. Pat Curley of the Screw Loose Change blog recently posted a critique of the nano-thermite paper by Denis Rancourt. Rancourt states that, "Many members of the 911 Truth movement use an 'appeal to authority' argument in advancing Harrit's paper as 'peer reviewed' and Harrit himself as a scientific authority with relevant expertise. Anyone using 'appeal to authority' arguments must expect that the authority in question can be questioned." Rancourt, however, is appealing to his apparent authority as the new king of peer-review, who can trump a forensic evidence based paper that was thoroughly peer-reviewed by individuals more qualified and just as qualified as him, and the replication of the paper's results by a chemical engineer, with a blog post that he purports to be a peer-review. Great comments by "Sitting-Bull" and "The Masked Writer" here.